Kerala: The cost of placing the ambitious Light Metro along 35.12 km in Thiruvananthapuram and Kozhikode has increased by ₹ 700 crore from ₹ 6,728 crore with the addition of parameters such as the transport-oriented development plan, financing of value capture and public-private partnership (PPP) in the new policy of Metro Rail. The Internal Rate of Economic Return (EIRR) of 17.99% for the Thiruvananthapuram project and 17.39% for Kozhikode have also risen according to the elaborate Project Report (DPR) ‘prepared’ prepared by Delhi Metro Rail Corporation (DMRC) as Senior Advisor, DMRC, E. Sreedharan. The collection of automatic fares and the operation of elevators and escalators in light metro stations in the two cities were included in the PPP mode in the “DPR Supplement” submitted to the Chief Secretary K.M. Abraham, Principal Secretary, Department of Public Works, G. Kamalavardhana Rao, and Kerala Rail Transit Ltd (KRTL), the special purpose vehicle (SPV) established for the implementation and subsequent operation and maintenance. 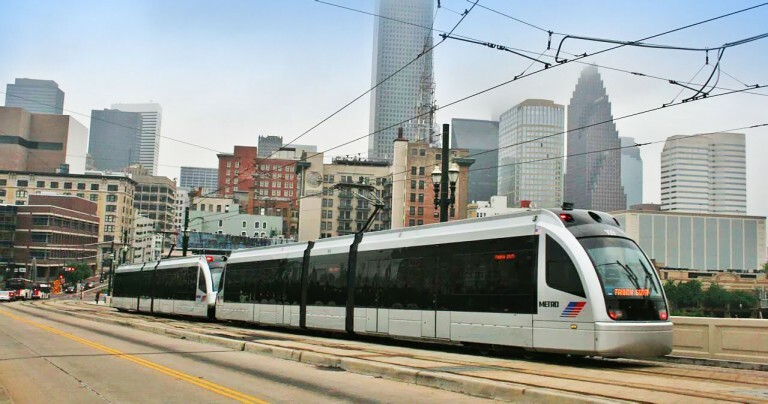 An additional surface area ratio (FAR) has also been suggested at a price along the corridor for financing the value capture together with the Unified Metropolitan Transportation Authority (UTMA). A Comprehensive Mobility Plan (CMP), the long-term vision for the movement of people and goods and the strategy to fulfill the vision, was prepared by Natpac before and presented to the Ministry shortly after the presentation of the DPR. The DPR prepared by the DMRC, which received the administrative approval of the Council of Ministers on September 8, 2016 and was awaiting the approval of the Center, was redesigned according to the evaluation guidelines of the metro rail project of the Ministry of Housing and Urban Affairs (MoHUA) issued in September. The light rail project was proposed by the DMRC with 20% equity each from the State and Center and the remaining 60% through external financing or national loans. The DPR went back to work as private participation, whether for the complete provisioning of the metro or for some unbundled components, became an essential component to seek central assistance in accordance with Metro Rail policy. The DPR supplement now needs Cabinet approval to be sent to MoHUA, official sources said. The Minister of the Union for Housing and Urban Affairs, Hardeep Singh Puri, has also requested the reworked DPR to expedite the authorization.